Paid CDL training is an alternative to private truck driver training schools, for those of you who are thinking about getting your CDL license but are put off by the high cost of tuition at the private CDL schools. After all, it always feels a little crazy to have to pay a boatload of money just to make money. Company paid CDL training programs are available with most of the big carriers. They even offer to pay you (although often a low wage) during the training period. It may sound too good to be true. There are definitely advantages to getting company-sponsored CDL training and some potential disadvantages. Overall, paid CDL training programs are a GREAT way to become a truck driver. 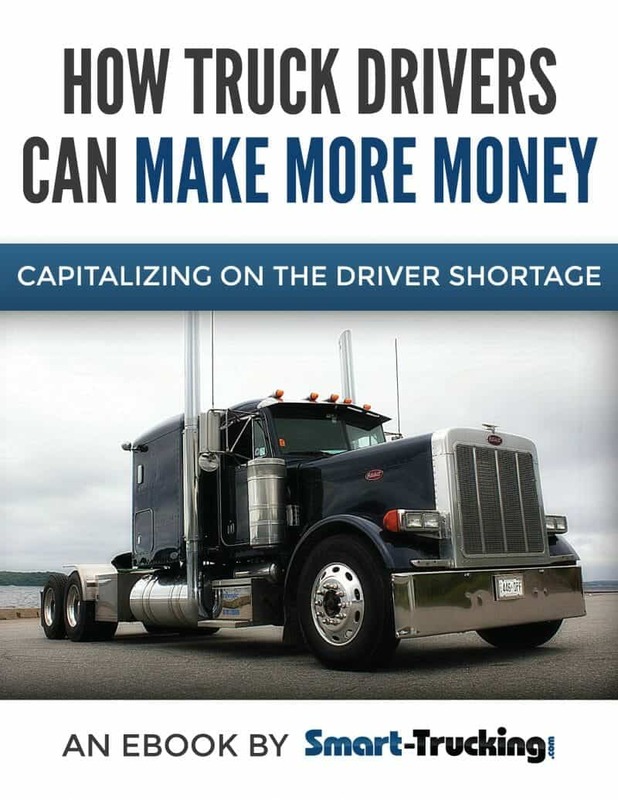 It’s the best way to get a good deal for your CDL training and the most bang for your buck. Taking advantage of one of these programs is a pretty smart way to get your CDL. 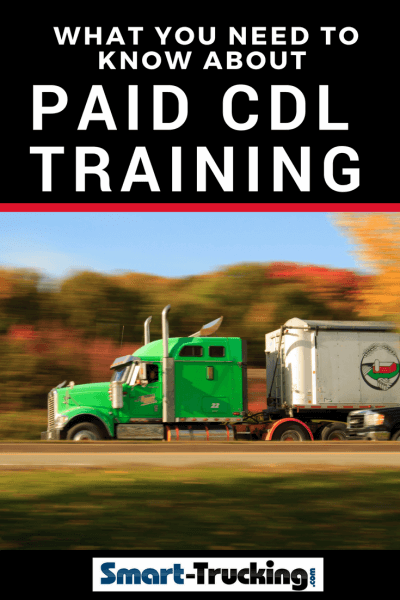 HOW DOES PAID CDL TRAINING WORK? Paid CDL training or company sponsored CDL training is exactly what it sounds like. You contact a carrier saying you want to learn to drive a truck and they agree to pay for your training on the condition that you work for them afterward. Several of the large American trucking companies operate their own truck driver training schools. They will teach candidates how to drive a big rig, get their CDL and then give the graduates of their training program a driving job. It’s like a 2-For-1 deal….. training AND a job. Sounds pretty good, right? They can be but you need to make sure your contract is very clear from the start. ARE FREE TRUCK DRIVING SCHOOLS REALLY FREE? That depends. Some programs do not have upfront fees. Some do. Some trucking company-sponsored CDL training programs have a plan where the company deducts the training fee from their monthly pay and some will reimburse the training fee to the driver, should they stay with the company for an extended time period. For most free truck driving schools, they really are free. In fact, you may receive paid training. Free trucking school programs/company sponsored training are probably the most cost-effective way to get a CDL, with the least amount of money paid to the training school. However, after factoring in the low wages during the first year or so as a driver, while fulfilling the contractual agreement for receiving the free training, a private training school option may be the better choice. It’s really important to ask questions before signing on to make sure that you know full and well what you’re getting yourself in to. WHAT ARE THE ADVANTAGES OF FREE TRUCK DRIVING SCHOOLS? Training programs vary from company to company. Most of them stipulate that you run with a trainer in one truck for a period of time, in order to gain valuable practical experience behind the wheel. There are a few distinct advantages in enrolling in one of these free truck driving schools. Most of them do not require any money upfront, as compared to the private truck driving training schools which can be very expensive. We’re talking thousands and thousands of dollars. Another perk is the graduates are guaranteed a driving job at the trucking company. This is pretty important stuff, as graduates from some training schools may find it difficult to secure employment. Many trucking companies prefer to hire drivers with experience. That’s no surprise but it makes it a little bit of a challenge when you’re a brand new driver out of school! It can be very disheartening to pay all that money, get your CDL and then not be able to find a job. The carriers have the benefit of hiring a new driver, so it’s a win-win situation for both company and new driver. It’s also an advantage to learning on company equipment. 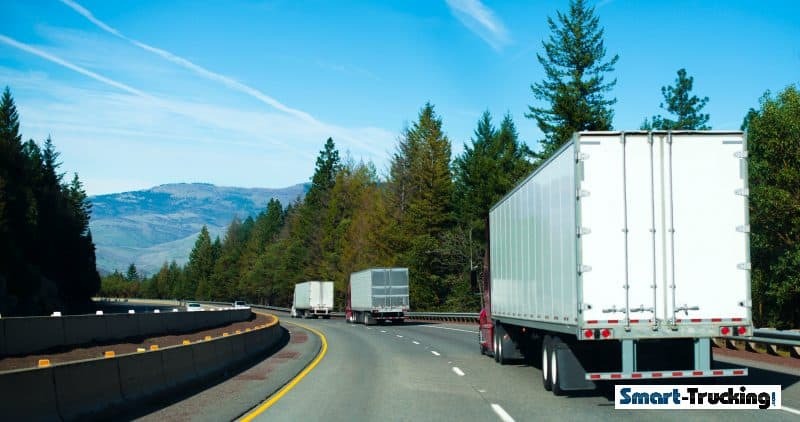 Chances are, as a new driver, you’re bound to have a few little bang-ups here and there as you learn to maneuver and navigate the truck in tight spaces. So, it’s best if you’re going to ricochet off something, to do it in a truck belonging to a mega carrier. These huge trucking companies are very accustomed to equipment damage, so it’s more likely the penalties for the driver won’t be so severe. Or maybe no penalties at all. But always good to learn on big company equipment first. generally have the easiest equipment to drive. Generally, they’ll have drop nose trucks with great visibility and automatic transmissions. You will have enough to think about when you’re learning so you don’t want to be worried about whether you’re hitting the right gear or not. There is a distinct advantage to using automatic transmissions for a training period. It lets you concentrate more on where the vehicle is on the road rather than have to worry about where the stick should be. When you’re learning, the easier the better. Another perk is there are lots of these companies around the U.S. and Canada which have implemented this style of training. They ALL want you to come to their driving school and hire you! Many of the mega carriers have branches in many different parts of the country, so you won’t need to travel far to attend one of their schools. ANY DOWNSIDES TO PAID CDL TRAINING? ONLY LEARN ENOUGH TO GET A CDL — This type of training is what I like to call fast-track training. These are normally programs which teach the trainees only what they really need to know in order to pass the driving test. They aren’t always in-depth, comprehensive courses. After all, it would be nearly impossible to master all the skills required to be a top-notch driver in just a few weeks. The really big kicker here is you may find future employers will look negatively on paid cdl training programs. Some employers feel the training is insufficient and doesn’t meet their hiring standards. However, not ALL company sponsored programs are like this. There are some reputable programs. While not exactly a disadvantage, you will need to work with a trainer – which can be a pain. Trainers are just part of life for a trainee. Like it or not. Living in a truck for a few weeks with a driver trainer can be a trying experience. Some trainers are better qualified and more skilled than others. Some do the job because they actually like it or enjoy the company of a second driver. Others do it solely for the money. 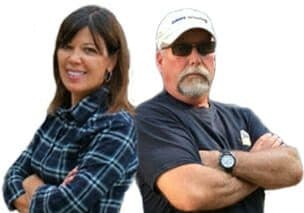 Be aware that some driver trainers can be difficult to get along with, and it may be necessary to ask the trucking company for a different trainer, due to personality conflicts. However, be prepared to ride the wave with whoever you are assigned to as the company may not care about whether you get along with the trainer! Be aware that when you sign up for your training with a mega carrier, they usually require you stay with their company for a year or so after your training is complete. This way, they can benefit from the training they’ve given you and recoup a some of their investment. Unfortunately, that contractual year may pay poorly. Often, they don’t pay their senior drivers particularly well either. Working for a smaller carrier after you get some experience, may be a good idea. Driving experience is what it’s all about in this industry. You may not have your choice of where you’re running for the first year or two you are with the trucking company. In fact, the first year or two CAN be quite challenging. But the object of the game is to get seat time and build experience. If you decide to jump ship because you don’t like working for them, at least wait until the contract expires with the carrier rather than get into a stressful legal hassle. When you sign up with the mega carrier for CDL training establish clearly from them how much money you will earn during your training period. So many trainees literally starve on these training programs. Training wages are often low. You need to know exactly how much money you’re going to be bringing home a week. Then you will know if this company-sponsored CDL training program will allow you to pay your bills. WHO WILL NOT BENEFIT FROM PAID CDL TRAINING? Driving schools will welcome you with open arms once you have signed on the dotted line….. no question there. However, there are some circumstances which will NOT make you a good candidate for one of these programs. If you have accidents or a D.U.I. on your driving record or a criminal history, you may not get a driving job AFTER your training. They may tell you it won’t be a problem, but in most cases, it IS a problem. The trucking companies are at the mercy of their insurance companies and if the insurance company rejects a driver, they cannot be hired. Don’t waste your time and money thinking you can outsmart the system or believe what the program rep tells you. Move on to another career where these circumstances will not stand in the way. WHAT ABOUT PAID CDL TRAINING FOR 18 YEAR OLDS? Most company sponsored training programs require the candidate be 21 years of age. If you’re under 21, you’ll need to wait a few years to apply for CDL training to become a truck driver. Although the private training schools offer government grants and various financial aid to help with the cost of driver training, not many people are eligible for the programs. Make no mistake, training with a private trucking company is going to be less of a cash outlay upfront, but don’t worry they’ll get their pound of flesh worth out of you. You are really paying either way so be aware. There are private CDL driver training schools which are completely independent from the big carriers. But generally they cost a fortune and at the end of the day when you graduate, there is no job guarantee. Low costs to get into the program, you’re not laying out a lot of money or any money up front. Earn money while training. They will pay you a wage instead of you paying them (although it can be meger). These are big advantages to most people who don’t have the financial means to enter one of these private training schools. Thoroughly review all details, especially the repayment of the training, if any works and how much you can expect to be paid. Be sure your financial obligations are in writing, after all, this is a contract you’re about to enter. Talk to some driver graduates of their program, if you’re able, find out about their experiences. Find out what type of trucking the company does and where they run. Do they specialize in produce hauling, flatbed work, tanker hauling, dry vans? 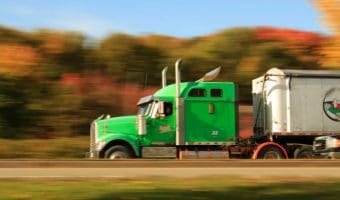 Do they run OTR (long-haul trucking)? Short haul? Or just in a specific region of the country? All of this information will have a bearing on your choice of training school. Try to choose a company which does the kind of work you are interested in. Otherwise, you may be unhappy right from the start. If you’re going to be working for them for the next year or two, it may as well be doing something where you’re reasonably happy. These trucking companies offer CDL training with a job, upon completion of their program. Before you sign up, here’s some words of advice. You’re in a for a major commitment and should be certain that it is what you want. It’s a great opportunity but one that may be difficult at first. First and foremost, the initial training period can be difficult and stressful. It’s possible that you will be paired up with a driver trainer who isn’t particularly someone you like. They may even match you with a trainer who really isn’t very good at training whatsoever. It isn’t unusual to be paired with a driver trainer who only has a few years (or less) of driving experience. It can be stressful when you’re looking for new customers learning to maneuver that big truck down narrow city streets. You will worry about getting lost and you will worry about being able to find the customer. Making the delivery on time is always stressful. But, hang in there. The object of the game is to get lots and lots of behind the wheel time. These training programs are not a walk in the park. It’s going to be tough. If through your training period you’re being paid strictly by the mile and that’s usually the case, try to establish how many miles a week you can expect, so you can calculate your earnings. You will need to know how much you will earn during training BEFORE accepting to enter the training. This is important stuff to know. You’ve must be able pay your bills. You should at least be able to support you and your family. If it looks like the pay will be insufficient, tell the carrier and let him sweeten the pot. If that doesn’t work, look for another deal. There’s no point starving to death and having your family out on the street while you’re learning to drive a truck. 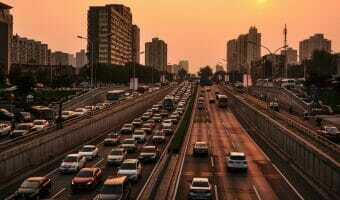 Related Article > How Much Will I Earn When I’m Attending a Paid CDL Training School? Taking advantage of company-sponsored CDL training is a great way to get your license, get as much experience as you can, and get comfortable with the truck. Sometimes, the company you choose initially will have a great program and you may be happy to stay after your contract has ended. DOWNTIME PAY – Look for something that pays for downtime, loading time, and unloading time. 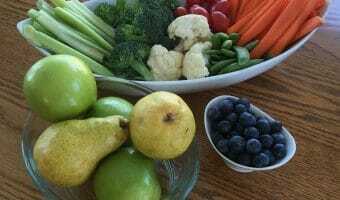 BENEFITS – Try to find something with 401K plan or a pension plan. LOCAL ROUTES – I do recommend to drivers with families, that once they’re finished their training period try to find something more short haul, regional or local, where you will be home more often and make better money in the process. Every dollar counts in this business and there aren’t dollars floating all over the place. Try to nail down a small carrier that pays well and pays you for all your time not just your mileage rate and they’re out there. Is Paid CDL Training Worth It? Getting your CDL from a trucking company driver training school is a stepping stone to a trucking career. The experience gained initially with your training will give you what you need to secure the exact driving job you want later in your driving career. Keep in mind that you’ll likely need to spend an extended period of time with the same company after training to fulfill your contractual obligation. However, the guaranteed job will get you some good experience so you can then go out in the future and get the job you really want. It’s the easiest, simplest and least expensive way to get your foot in the door and get your career underway as soon as possible. There are numerous advantages and some downsides. However, it boils down to individual preference. Hopefully, you’ll be lucky enough to have signed up with a carrier that you really like and you’ll stay there and put in your time for a few years.Ideally, that’s always the best scenario. However, you may find the carrier isn’t a good match for you after you have your license. You may want to move on to another trucking company. I still recommend getting at least a couple years with the initial carrier first so you’ve got a little bit of experience under your belt. This experience will make you more marketable when you then decide to approach other carriers later. There are distinct advantages to paid CDL training schools. With little to no money up front and a job at the end of the training, you’ll have the tools you need to start off your truck driving career right, with the best chance possible for future success as a professional driver. It sounds intimidating. But stay with it. If a career in truck driving is really what you want, hang in there. It WILL all work out. More Pages You May Find Interesting…. 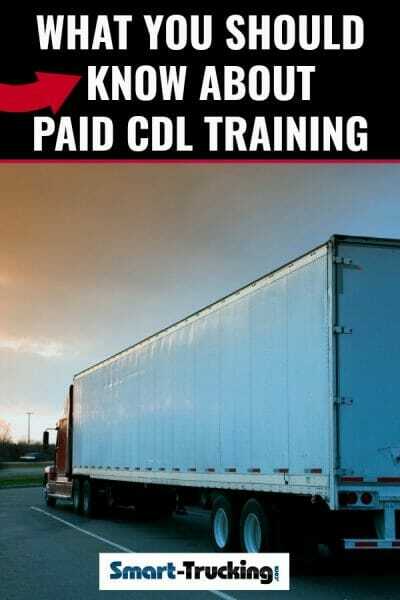 How Much Does It Cost to Get CDL Training?